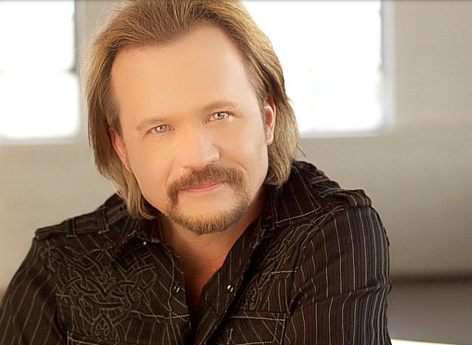 It’s been six years since Travis Tritt was on the country charts. It’s been eleven years since Travis was in the top ten on the country charts. For the last five years or so he’s been fighting with his former record label to get control of his last album The Storm. It was a good album that really never got full attention because the label kind of flamed out and the ownership had other legal issues. Tritt must have really loved the songs on the album because he chose to fight to get them back and re-release them instead of focusing on creating new songs on his own. But it all may have been worth the wait because Travis is looking to make a big statement with his new single. Many of you will recognize the song from about 20 years ago. I can remember when this song was huge on the charts. It was written by ’80s star Patty Smyth. She performed the track with Don Henley and the song was a smash hit on the Adult charts and pop charts. It’s hard to cover a song like that, but Travis had an ace up his sleeve that nobody could have anticipated. He brought along his daughter Tyler Reese to help him on the song and it turned out great. Tyler has an amazing voice. She more than holds her own on this song and I would say Travis is more than happy to take a backseat to let her shine. But that’s not to say Travis doesn’t shine as well. After six years of not hearing new music from him on the radio I have to say his voice sounds as good as ever. There is that classic twang in the voice and you can tell he still has it. After all these years it sounds like Travis Tritt is ready to take on the country world again. He’s had comebacks before and he certainly knows how to play a country song. Let’s see how far he can take things this time.